Recently, the 8 most excellent teams at the southern regional qualifiers have had an impressive performance at the University of Polytechnic Stadium, National University village, Di An town, Binh Duong province. After dramatic races, The Walkers from LHU, CDSNTU2 from Nha Trang University, SQ26 from University of Communication and Information, Nha Trang and Dateh IT from HCM City University of Science were listed the four strongest representatives of the Southern Digital Race, also winning tickets to the final round. The 2019 Digital Race is organized by FPT Corporation in collaboration with Vietnam Television. The race attracted more than 800 participants from 36 universities across the country. The Organization Board will select at least six best teams to attend the national finals. 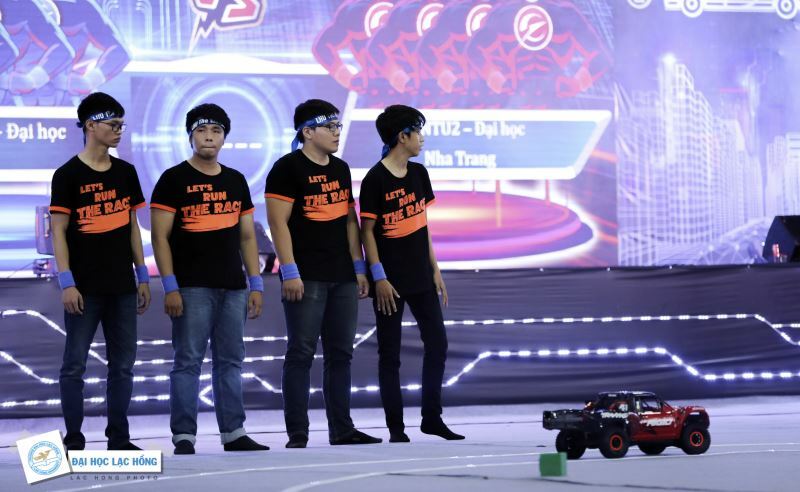 In previous years, the competition was only for students of universities in Vietnam, but this year, the final round saw the presence of four teams in Asian region. In early 2019, the Digital Race kicked off the school qualifiers at 8 sites across the country and selected the 16 best teams to the semifinals. The southern regional qualifiers saw the competition of 8 strong teams including Speed and The Walkers from LHU, KOR, PPL Lover from HCM City University of Technology, HCMUS Team 09 and Dateh IT from HCM City University of Science, SQ26 from University of Communication and Information, Nha Trang and CDSNTU2 from Nha Trang University. This year's champion will receive a prize worth more than VND 1.1 billion including a trip learning about new technology in the US or Japan within a week, VND 15 million in cash and a Doctoral scholarship on artificial intelligence worth VND 700 million for the best candidate. In addition, teams have the opportunity to receive many other attractive prizes such as one Second prize worth VND 15 million, two Third prizes each worth VND 10 million. The University with the team wining First prize will receive VND 50 million. The instructor for the first prize winner will receive a laptop worth VND 20 million. The top 4 teams entering the finals will receive internship and training program with a minimum salary of VND 5 million / month at the FPT Technology Department for a minimum of 3 months.